45- Dolly Menga - Livingston - receive yellow card for a foul. 17- Goal! Motherwell 1, Livingston 0. Ryan Bowman - Motherwell - shot with right foot from outside the box to the centre of the goal. Assist - Allan Campbell. 63- Peter Hartley - Motherwell - receive yellow card for a foul. 64- Goal! Motherwell 1, Livingston 1. Keaghan Jacobs - Livingston - from a free kick with a shot with right foot to the top right corner. 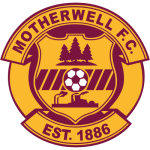 70- Carl McHugh - Motherwell - receive yellow card for a foul. 73- Substitution - Motherwell. Gael Bigirimana for Andy Rose. 74- Substitution - Motherwell. Danny Johnson for Curtis Main. 76- Substitution - Livingston. Nicky Cadden for Steven Lawless. 78- Second yellow card to Carl McHugh - Motherwell - for a foul. 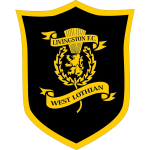 81- Substitution - Livingston. Steve Tevi Lawson for Scott Robinson. 83- Declan Gallagher - Livingston - receive yellow card for a foul. 87- Substitution - Livingston. Jack Hamilton for Dolly Menga. 89- Danny Johnson - Motherwell - receive yellow card for a foul.